Victoria netminder posted a 0.975 save percentage and 1.07 goals against average in two contests. Victoria, BC- The Western Hockey League today announced that Victoria Royals’ goaltender Griffen Outhouse has been named the WHL Goaltender of the Week, and is the league nominee for Vaughn CHL Goaltender of the Week. 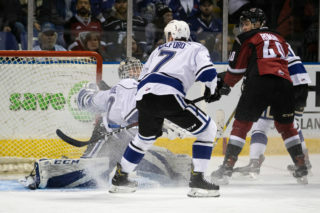 The Likely, BC native earned the award after he appeared in two games for the Royals and registered a 2-0-0-0 record mark. In those two contests, Outhouse recorded a 1.07 goals against average (GAA) and a 0.975 save percentage (SV%). 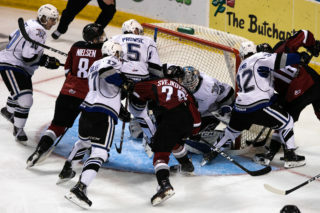 The 6-0, 180 lb netminder stopped 77 of 79 shots he faced over the weekend that included a 46-save performance over the Vancouver Giants on Saturday night. 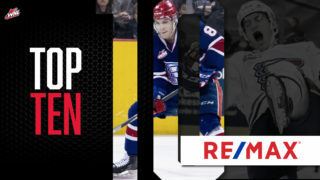 This marks the second time in his WHL career that the 19-year-old has won the award, with the other occurring last season. 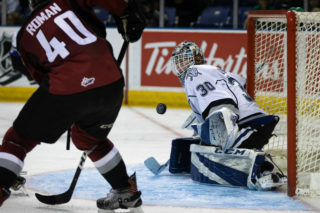 During his rookie season (2015-16), Outhouse was named CHL Goaltender of the Month for February 2016. In 92 career WHL regular season games, Outhouse has posted a record of 54-27-6-2 along with a 2.51 GAA, a 0.923 SV% and eight shutouts. 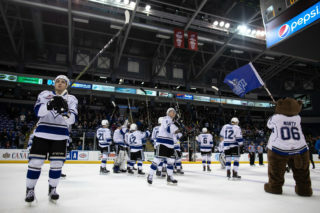 Victoria will return to the Save-On-Foods Memorial Centre this Saturday and Sunday to face the Kamloops Blazers. 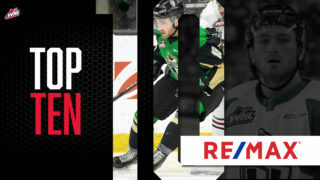 Puck drop for Saturday’s contest is slated for 7:05 p.m., while Sunday’s game will begin at 3:05 p.m. Tickets can be purchased in person at the Select Your Tickets box office, over the phone by calling 250-220-7777, or online at www.selectyourtickets.com.